QImport 3.0.0 is other software developed by netbusiness.com,Inc.. Most often the only way to import data into your QuickBooks company file is via IIF. The IIF format is somehow limited and seems to be outdated sooner or later. 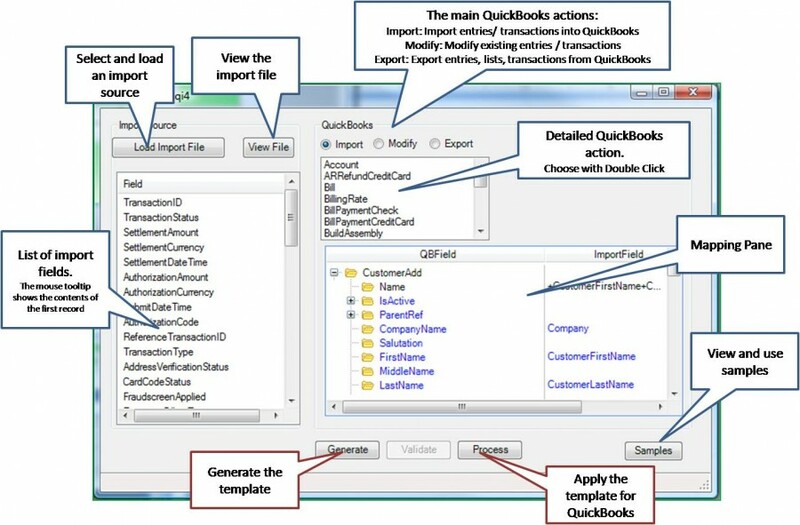 QBAutomation - Import seamless integrates with QuickBooks. It is able to import any data allowed by QuickBooks. It starts with customers, invoices, sales receipts and ends with bills, time-tracking information, employees etc. As input just CSV (comma separated value) or XML files are needed. That's all. 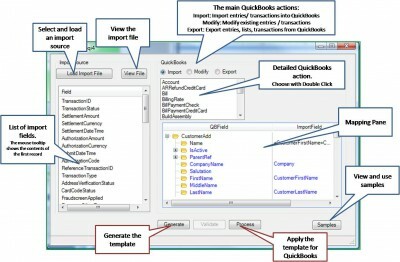 With the interactive GUI you define the mapping between your data and QuickBooks, generate a template and import the data. Easy, isn't it ? This program is shareware, which means you can download and use QImport 3.0.0 for free during 30-days trial period. After this period you gonna have to buy QImport 3.0.0 software for $169.00 or uninstall the program. QImport 3.0.0 supports different languages (including English). It works with Windows 98/XP/Vista. Latest QImport 3.0.0 does not contain any spyware and/or advertise modules, allowing installing it with no worries concerning valuable information loss. Our website has thoroughly tested other product QImport 3.0.0, written the review and uploaded installation file (4721K) to our fast server. Downloading QImport 3.0.0 will take minute if you use fast ADSL connection.